This is definitely a high gift giving season for us this year. There are graduations, first communions, mother's day, teacher's gifts and birthdays all jammed into just a few weeks of time. I'm sure you know what I'm talking about. So that got me thinking as to how I will want to present some of the gift cards that will be part of some of these gifts. I like cards in some cases because I don't know what the person may want (teenagers!) or because I want them to get something they really, really like and I know where they will be getting it from. What I don't like at all is just tossing a gift card into a card. Even if I make the card it still seems too easy. Does that make sense? So I've come up with a couple of options for all of us. 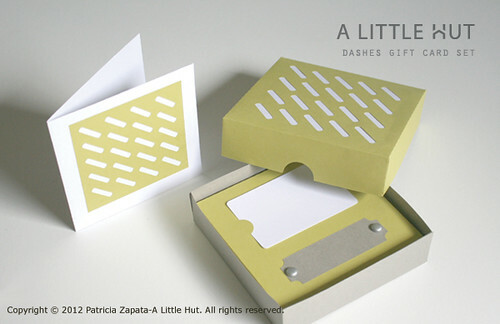 They are gift card holders that come inside of pretty boxes. 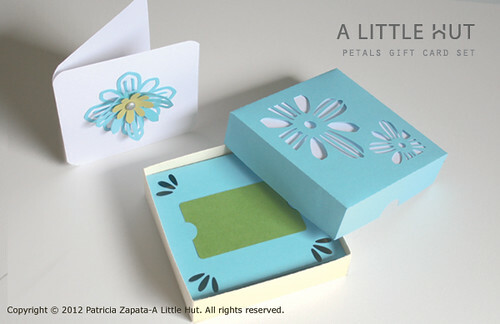 They also include a matching card that fits inside the box. The Flowers Gift Card Set is obviously more feminine than the Dashes Gift Card Set. I think the latter would be a great option for the special boys and men in your lives. 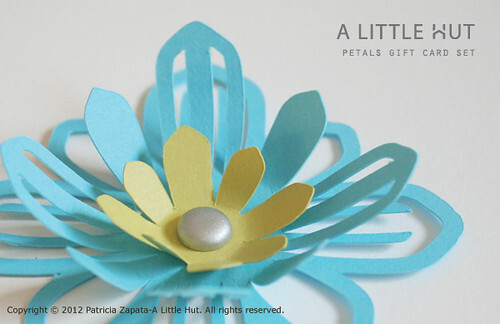 Remember that even though these are gift card sets it doesn't mean that you can't use the different parts (the flower, the box backgrounds, etc) for other projects like cards, gift toppers, scrapbooking pages or other artwork pieces. 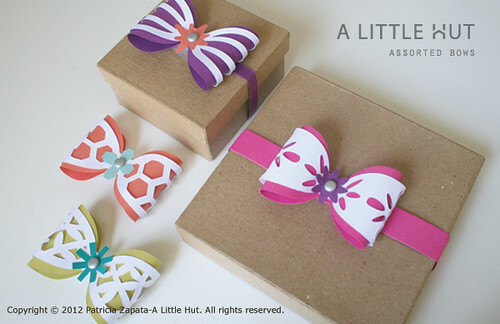 If you need more pop of color for your gifts I also have new Assorted Bows. Aren't these fun? Speaking of artwork... I have another easel for you. 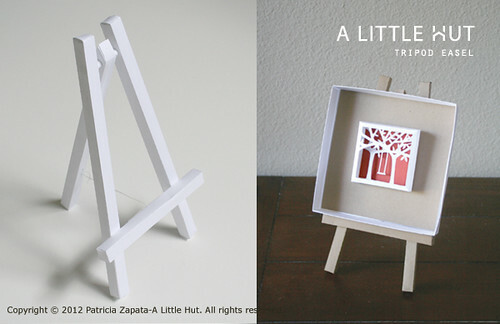 A tripod easel! I love it. I hadn't had a chance to record the video but now it's up and you can see how easy it is to put together. As always, if you have any questions about any of these projects just let me know! You can find all these projects in my NEW section. Enjoy!